The CDC component is evaluated in vivo by administration of cobra venom factor, an activator of the complement system used to perform in vivo depletion. 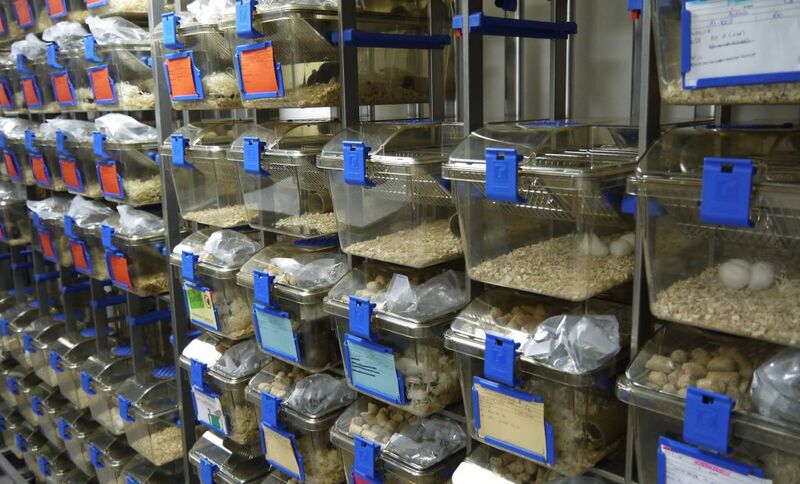 Our protocol consists in the injection/implantation of a tumour model and administration of the therapeutic antibody in the prophylactic or therapeutic setting, in the presence or absence of cobra venom. 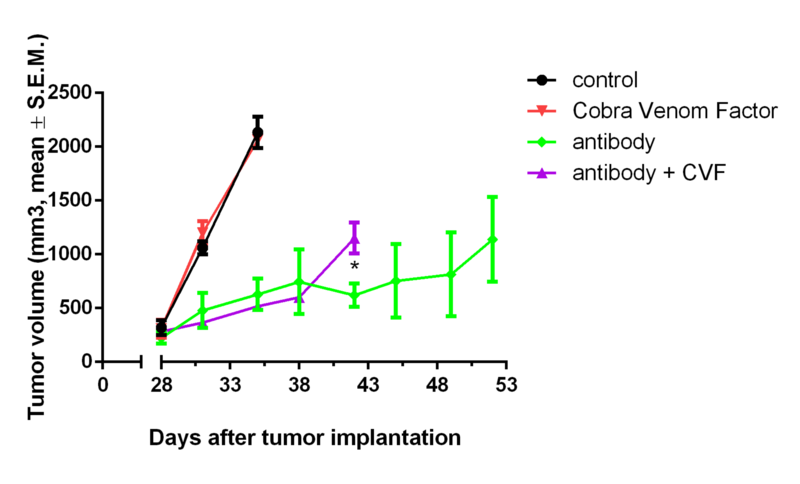 When CDC is a key component of the antitumor activity of an antibody, the effect of the antibody on tumour growth will be reduced by prior administration of cobra venom factor.